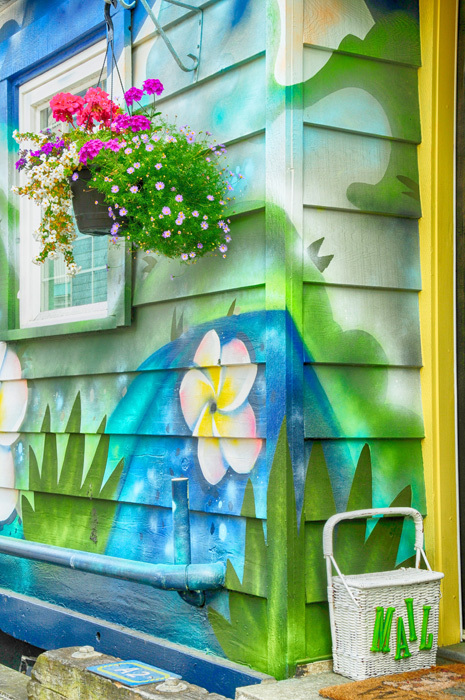 This colorful boathouse nook was discovered while on a walking exploration of the waterfront at Fisherman’s Wharf. An impression of vibrant renewal of a boathouse with a personal touch by the owner at A2 – a splash of color. Urban renewal Victoria-style.